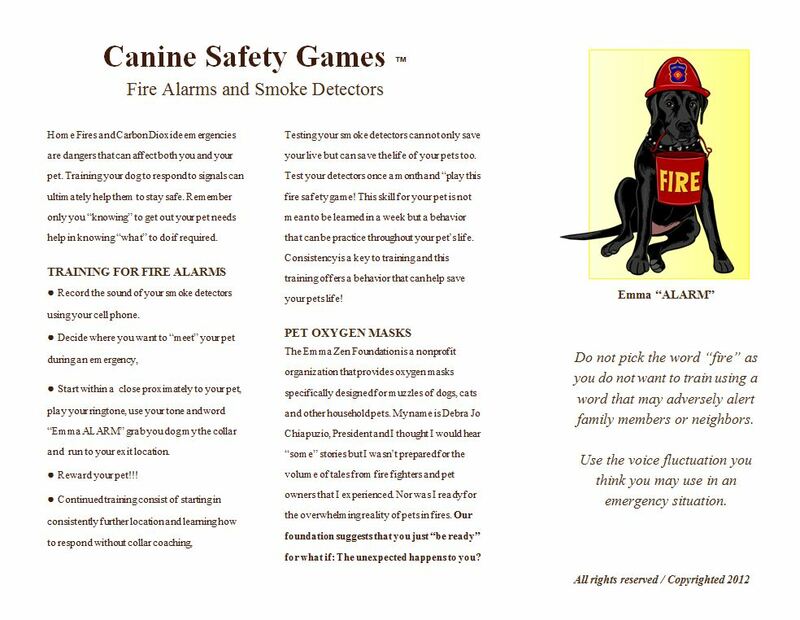 Doggie Games ® The games people play! We do a lot of fun things over here to encourage you to spend more time with your pets, while incorporating some exercises that could instill a favorable behavior in your pet. 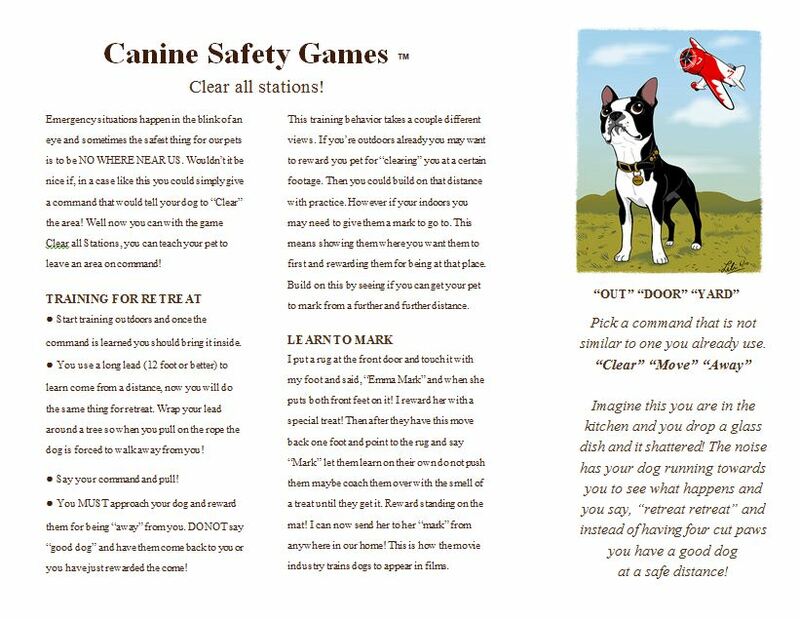 Since we are in support of Pet Safety our games lean towards aid in those areas! Maybe something you never thought about? Such as training your pet to stay out of the kitchen, could prevent a dog burn! 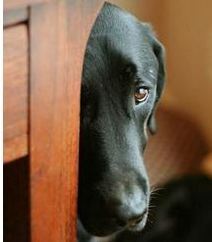 Familiarizing your pet with the sound of fire alarm could help your pet to distinguish when it's "time to go!" 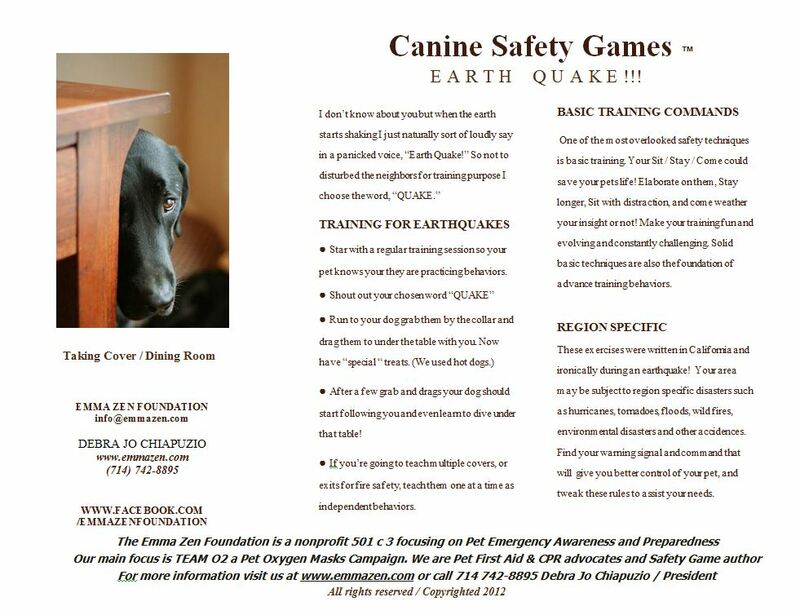 Hearing code words could have your pet running for cover, which comes in great if you live in an earthquake prone area. And retreat can be used for many different emergencies. Not all emergencies are life treating, just tonight as we were working on this web page I took a break and got a glass of apple juice only to lose my grip on the glass on drop it on the title floor, retreat came in hand for getting my pet away from the broken shards. Many of these games can be tweak to adapt to the environmental dangers in your area. We hope you explore, play, learn, have fun and stay safe! We also suggest you learn your pets "Comfort Zone" That is the location within your home that your pet will run when scared. Typically different from where your pet lays to be comfortable. So as hard as it may sound for some of us people lovers to hear or to even do, have a neighbor come over banging dishes, scream and yell, set off your fire alarm anything to raise the hairs enough for you pet to run. Where ever you find them is their Zone. Now if you are out of your house safe when first responders appear you could say I do have a pet and it's probably located _____________! While we offer these pamphlets for free if possible we'd appreciate a small donation. Thank you. All funds benefit Pet Oxygen Masks for first responders. Your pet's SIT STAY COME can save your pets life! See our suggestion on advancing our practices.